While Microsoft's Xbox One emerged victorious in the Black Friday shopping stakes over in the US, it appears the newly-launched Sony PS4 might have gained an early advantage at home in the UK. Amazon UK has predicted the Sony console will become the fastest-selling in the retailer's history, eclipsing the previous record, ironically set by the Xbox One a week ago. Meanwhile Tesco said demand for the PS4 was the highest it had ever seen for any product online and also dealt with 12-hour queues in stores. All of those signs point towards an early lead for the Sony PS4 in the UK, but most observers would argue that it's far too early to judge. On the contrary, the company that owns PC World and Currys said that the Xbox One had 'nudged into the lead' in terms of pre-orders. 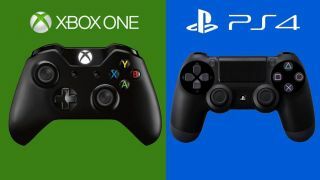 Xbox One vs. PS4: who wins out?